The headlines may no longer say as much, but we are, in fact, still facing the biggest Ebola epidemic ever. Since the epidemic started a little more than a year ago in a remote village in Guinea, the world has seen over 21,000 people infected and over 8,400 deaths, according to the latest World Health Organization (WHO) numbers. But we are feeling optimistic. Current data show that the numbers of new cases are dropping in all three of the hardest-hit West African countries. An in-depth report from Vox that was released Monday predicts that Ebola could be contained in Liberia between March and June of this year with a rapid decline in new cases following June 2015. And, from our perspective on the ground, we’re witnessing real, life-saving change and healing within the impacted communities. 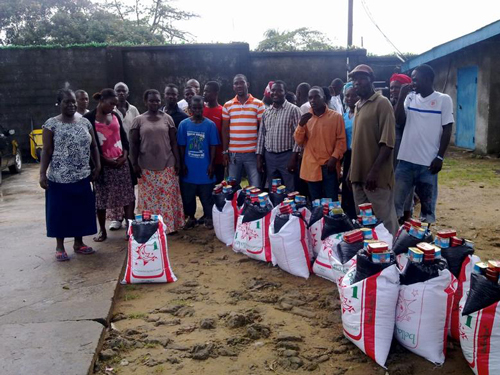 Strengthened by our supporters and partners in mission, the relief efforts of The Salvation Army World Service (SAWSO) in Liberia and Sierra Leone have been contributing toward the service of thousands of individuals who have been afflicted with this deadly disease. Families who have lost their members, or their homes and possessions as a result, are being assisted by The Salvation Army with food and material items. 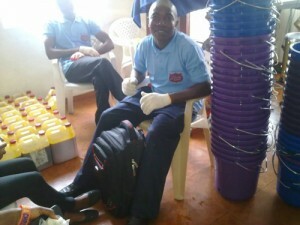 Individuals who have been quarantined are being cared for and comforted. While we are not providing medical treatment for the infected, we are ensuring healthcare workers are well equipped with personal protective gear, medical supplies, and hygiene items, while increasing prevention awareness and offering psychosocial and spiritual care and support. With a 95-year history in Africa, The Salvation Army will be serving for the long haul. 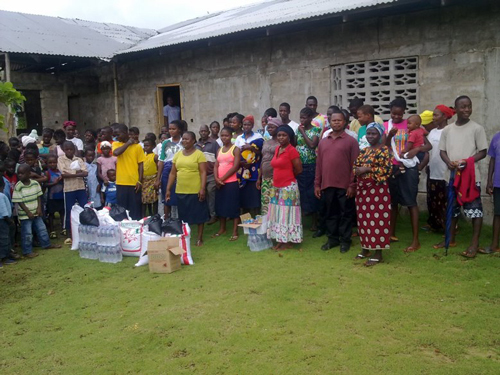 We operate 11 schools in Liberia alone, and long-term recovery plans include providing these institutions with disinfectant, repairs and replacement furniture, supplies and financial support for teachers in anticipation for reopening. All of these projects, unique to the needs of their community, are made possible by supporters. 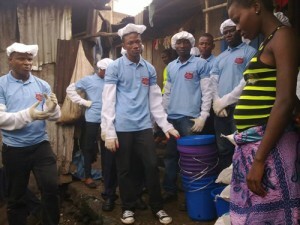 If you would like to support our efforts in West Africa or learn more about SAWSO’s services around the world, please consider a making a donation at https://donate.salvationarmyusa.org/sawso/sawso-ebola. The Salvation Army has nurtured the underprivileged since its founding in 1865. Today it operates in 126 countries, integrated with local communities – building deep partnerships. These carefully nurtured ties with local residents allow The Salvation Army to see below the surface to understand the root of many issues. At the Salvation Army World Service Office, we leverage this more profound understanding to help identify local needs. We support the work accomplished to address those needs. And long after the work is done, we continue to encourage positive change, through local Salvation Army personnel and local leaders on the ground.